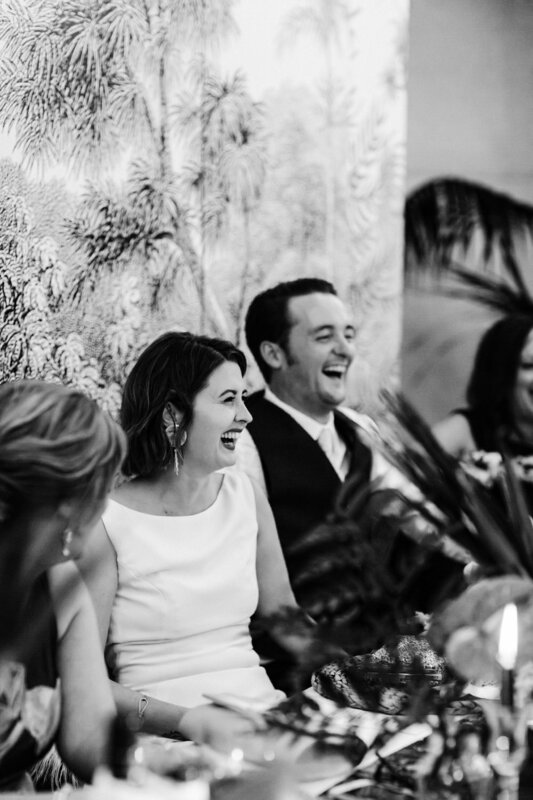 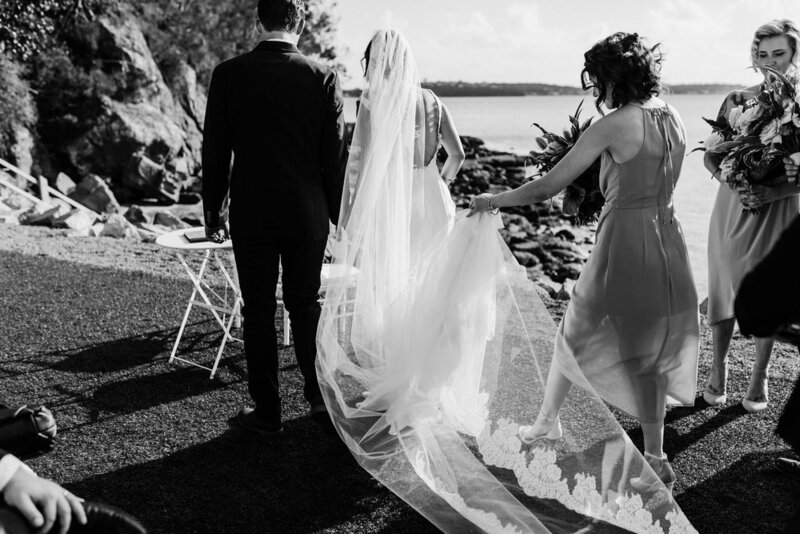 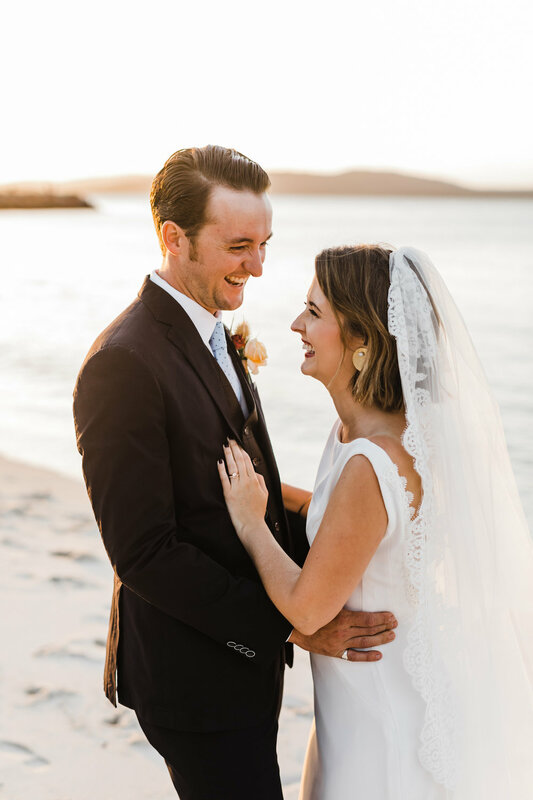 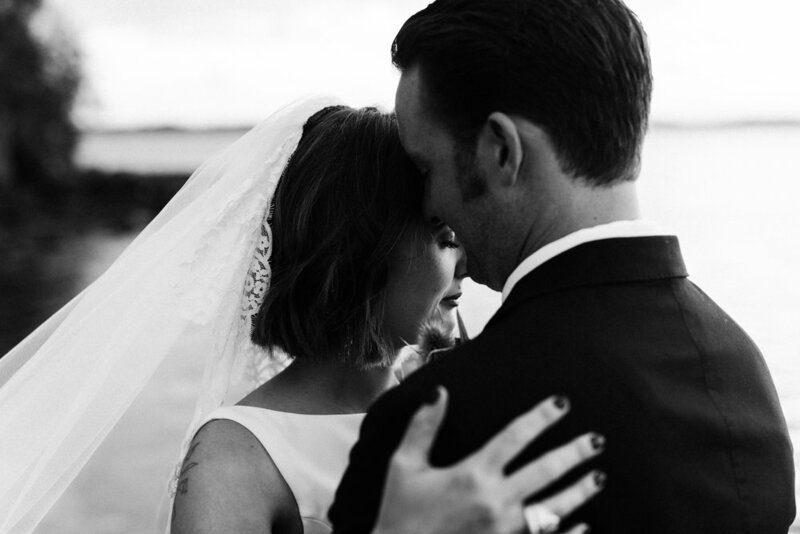 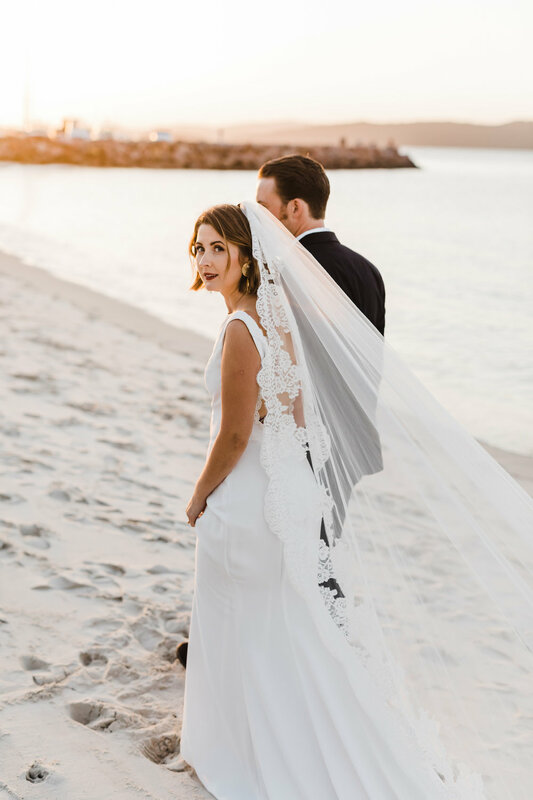 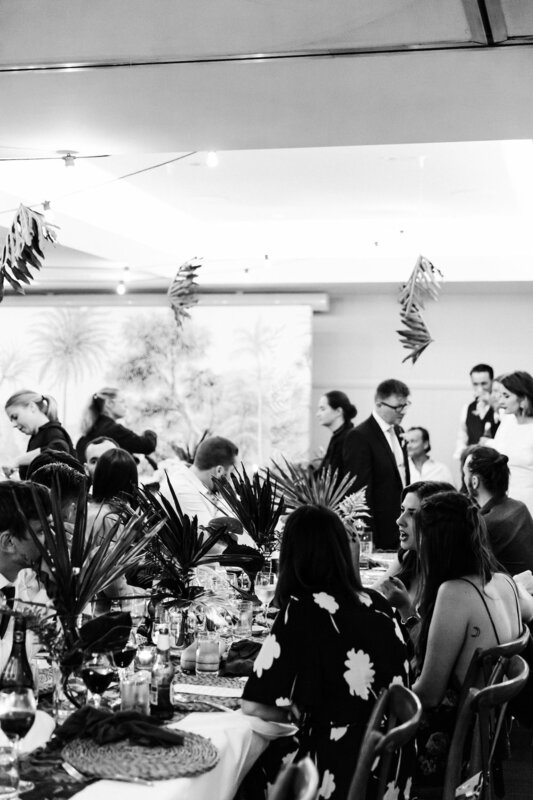 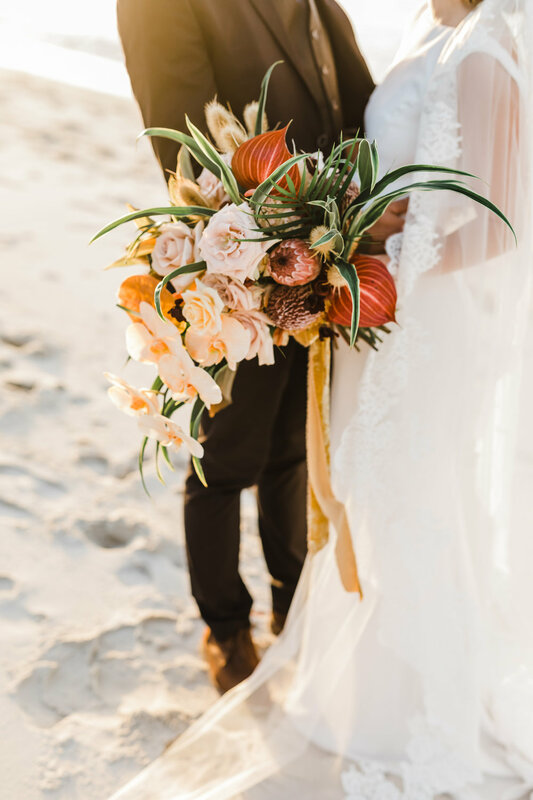 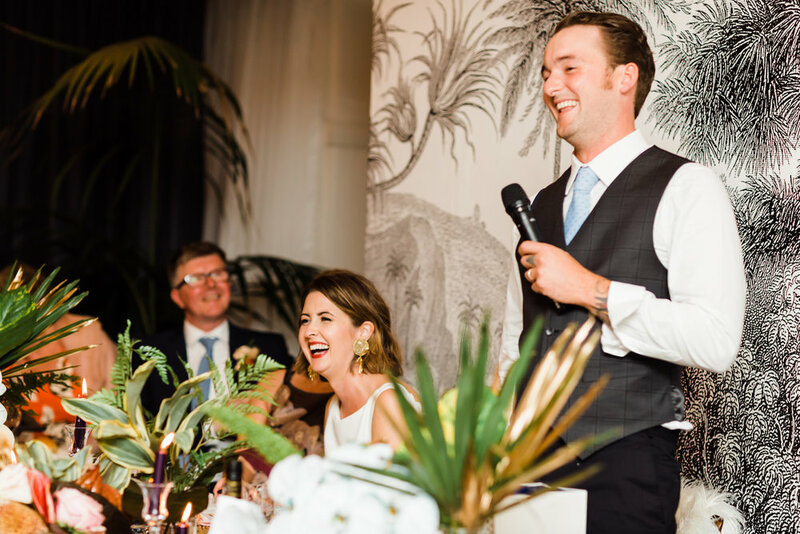 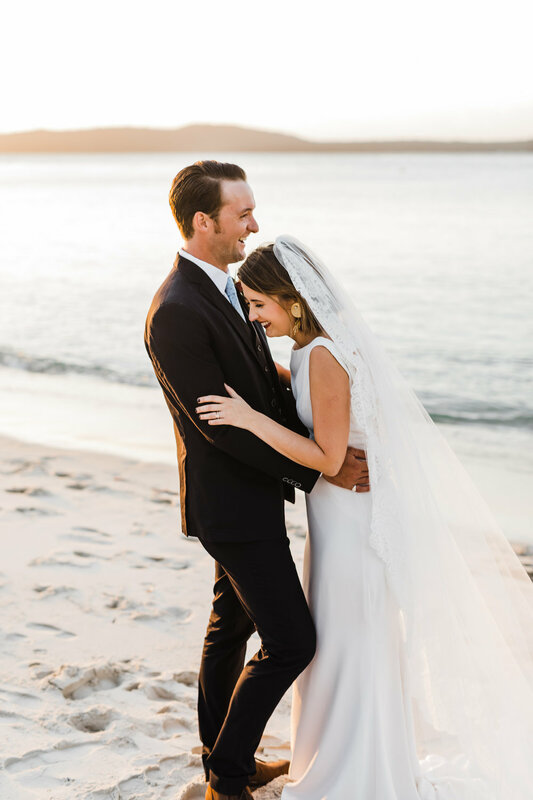 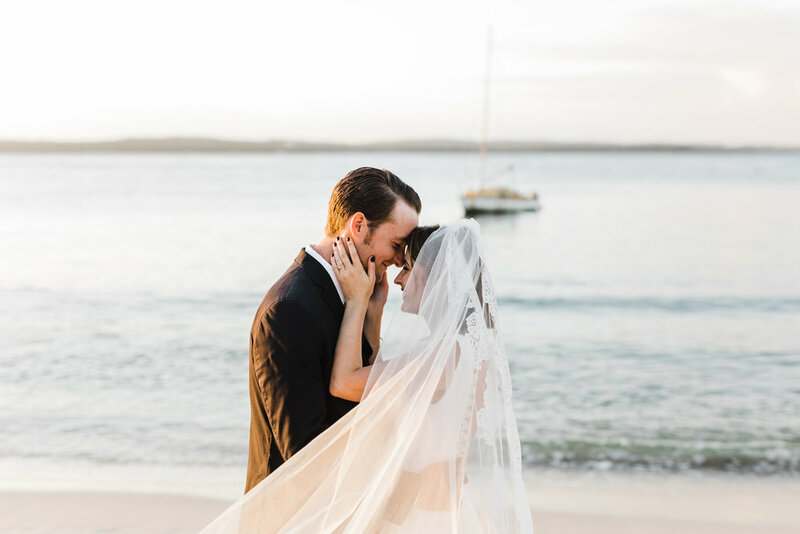 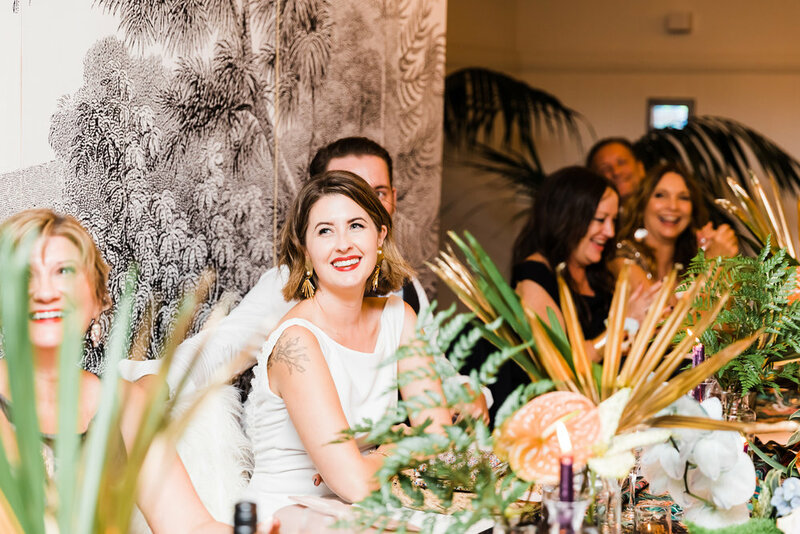 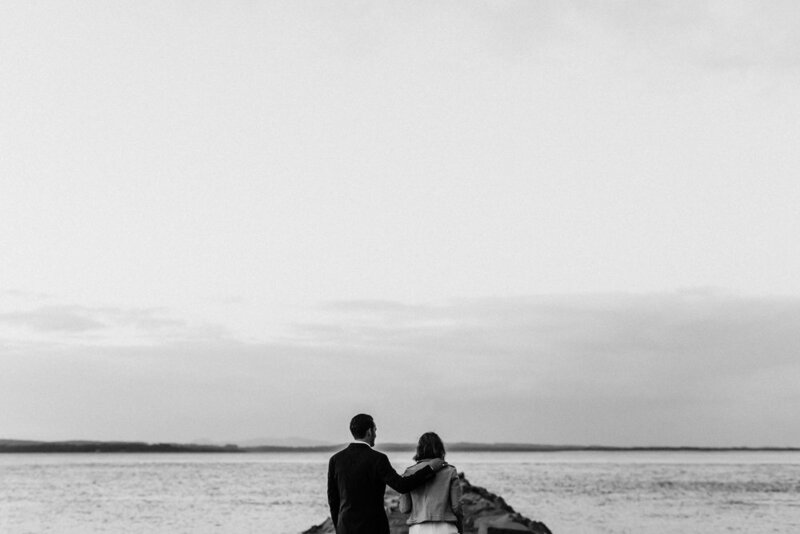 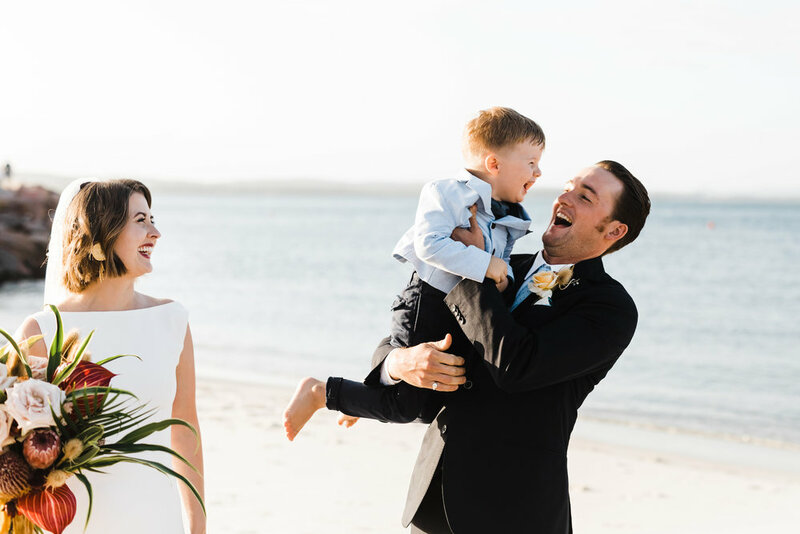 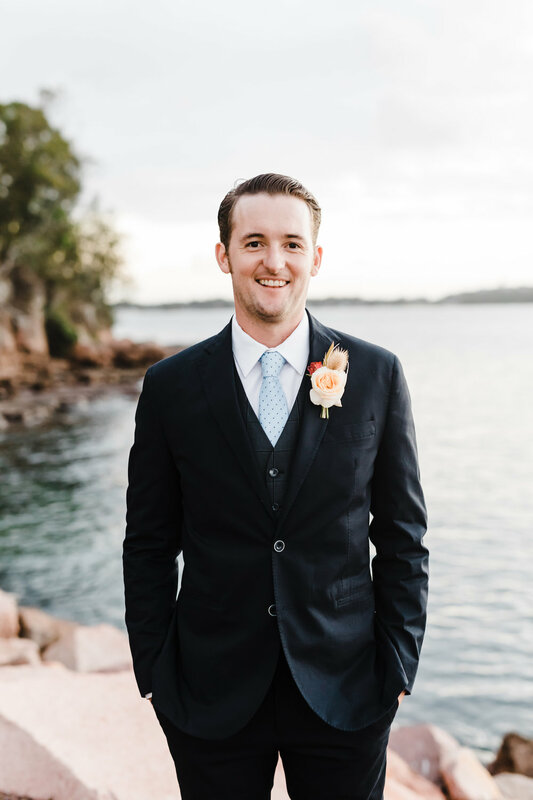 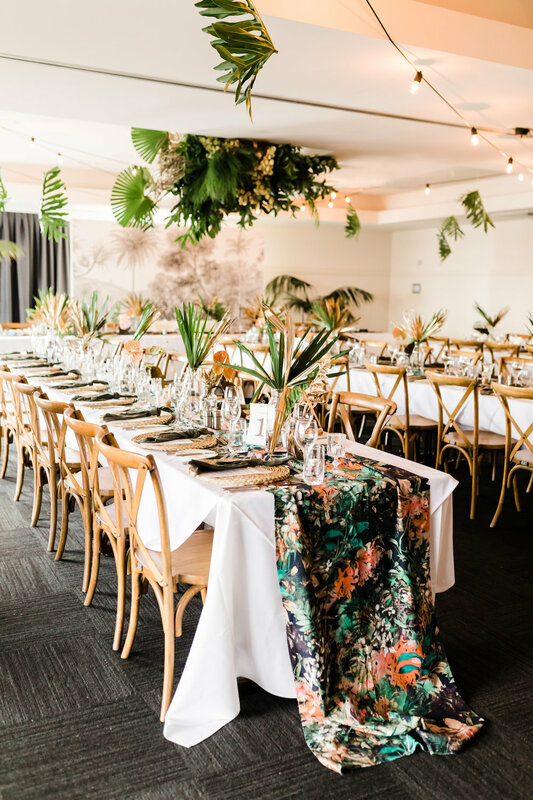 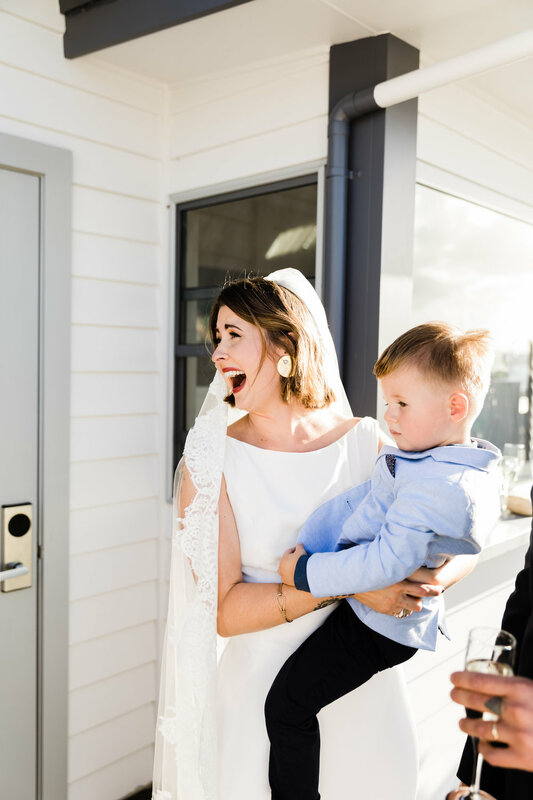 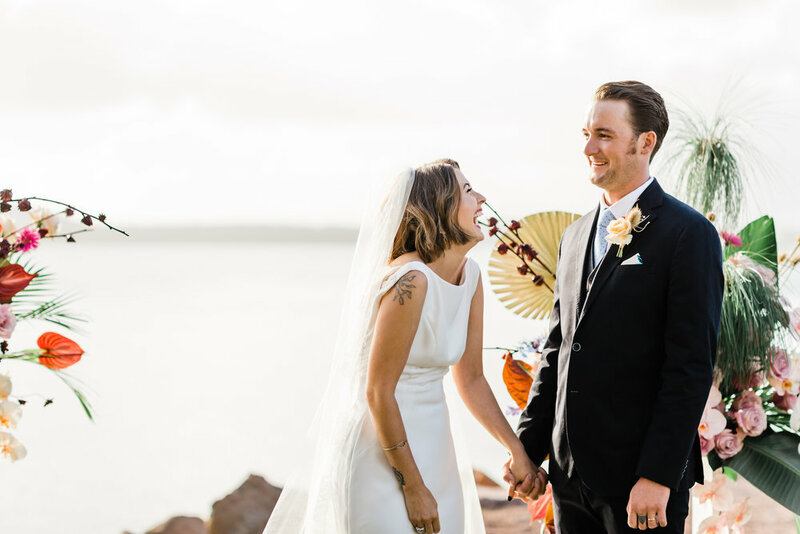 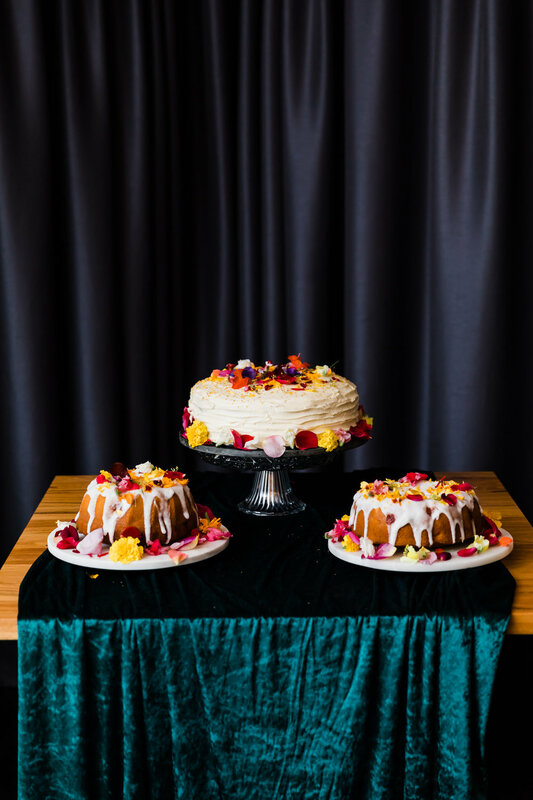 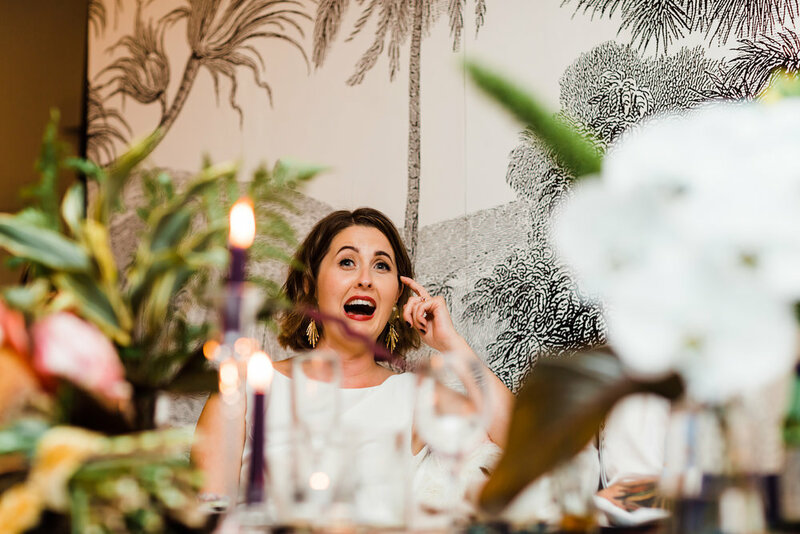 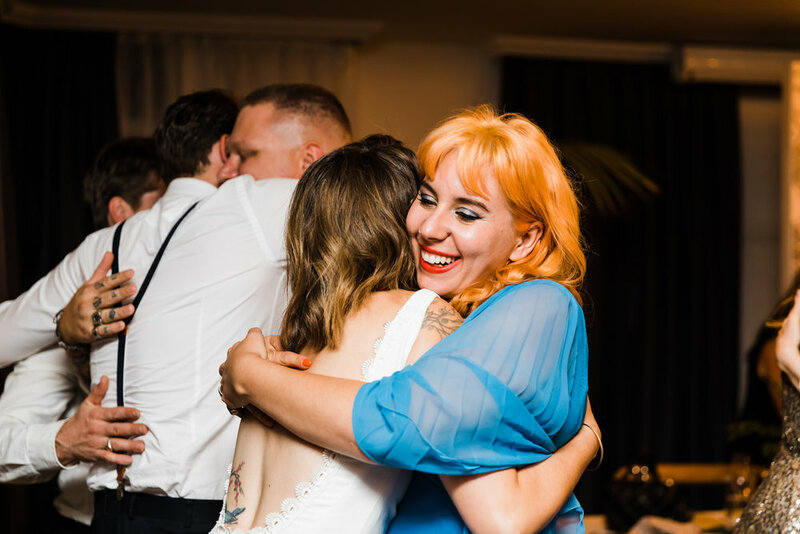 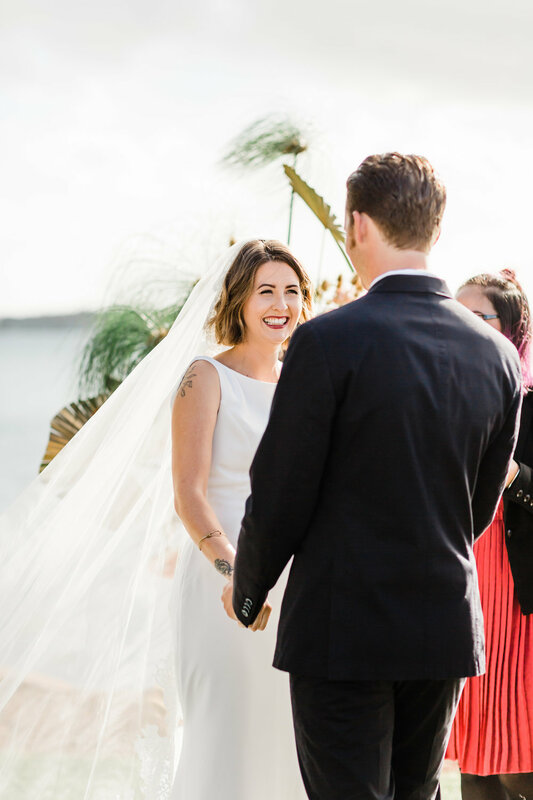 Melissa and Harry’s coastal Port Stephens wedding was the perfect mix of style and relaxed vibes. 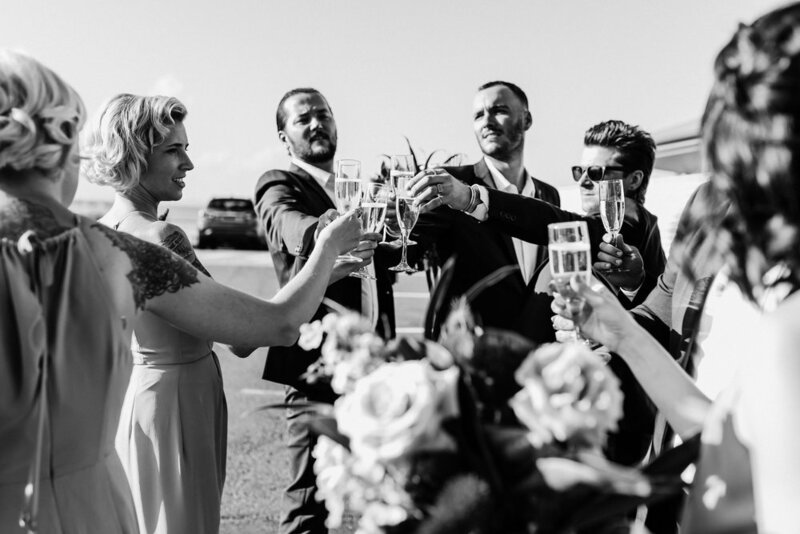 Melissa is one talented stylist. 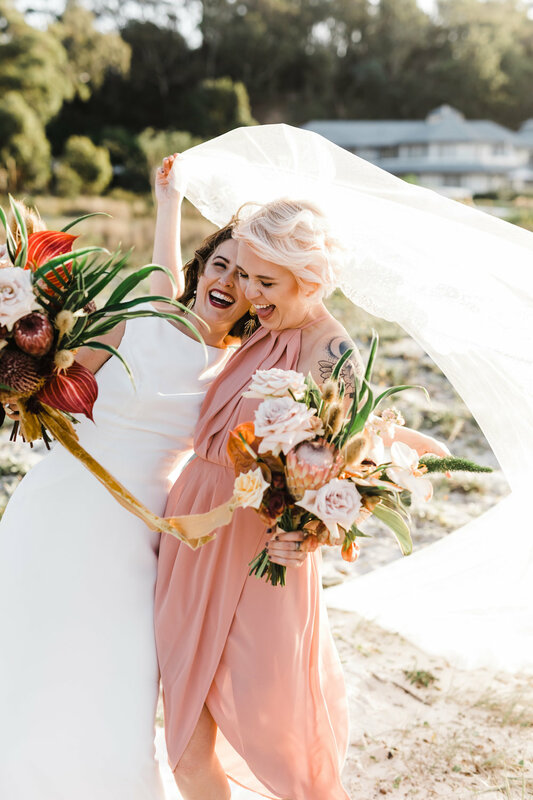 She has been a part of the Inside Out Magazine’s Search for a stylist this year and had her work featured by Temple & Webster. 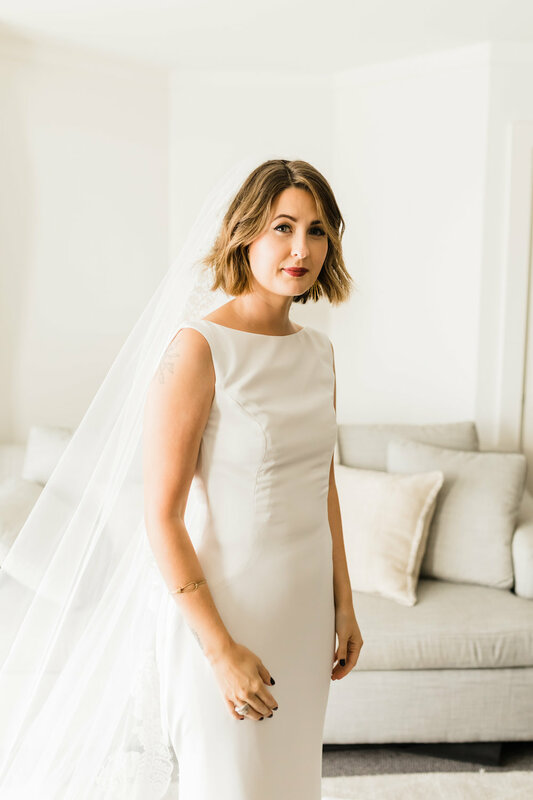 When she told me she was doing her own styling for the day, I had no doubt that it wouldn’t be amazing. 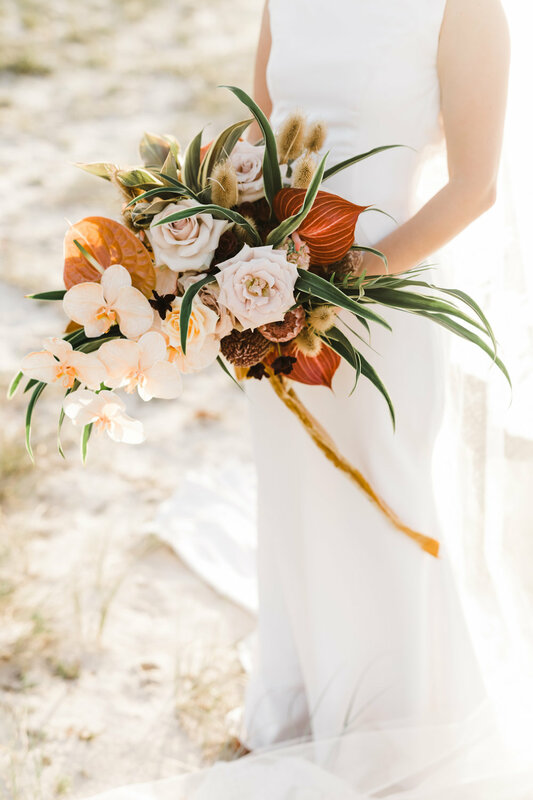 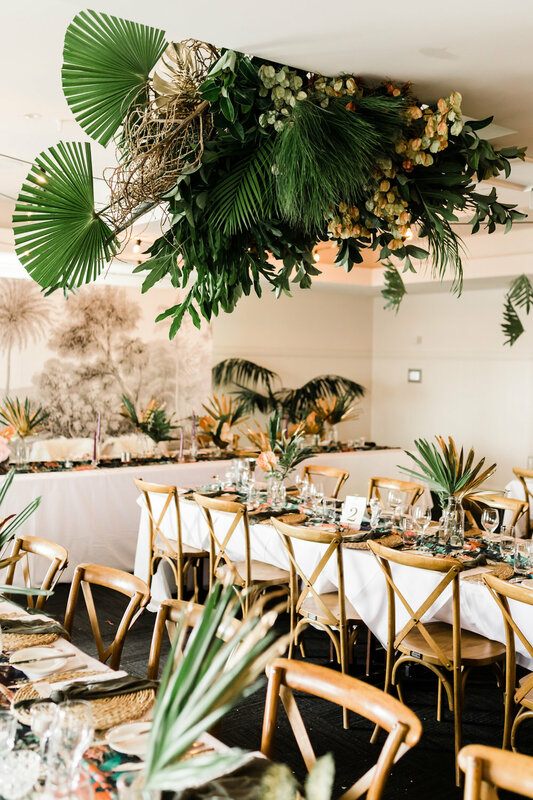 A piece of fabric ignited Melissa’s vision for their tropical luxe theme and with the help of some amazing florals by Botanica Bird, Melissa and Harry steered clear of current trends and created their own style, unique to them which captured their relaxed nature and also Melissa’s killer styling skills. 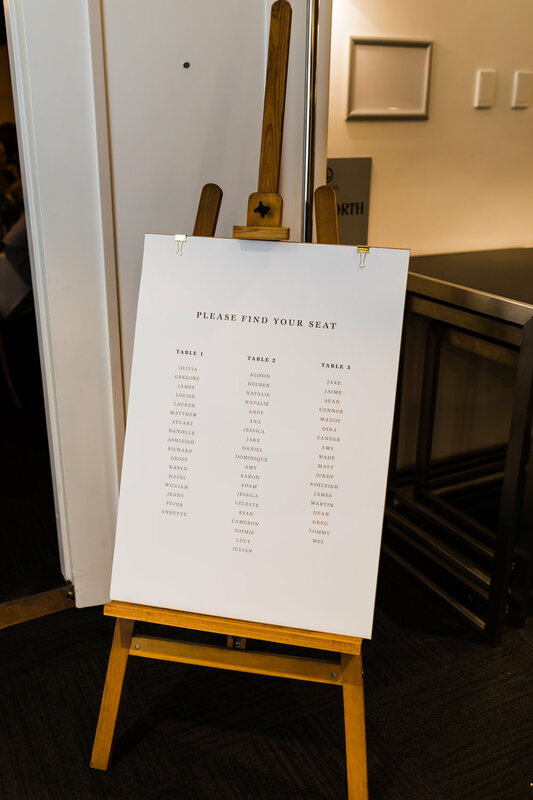 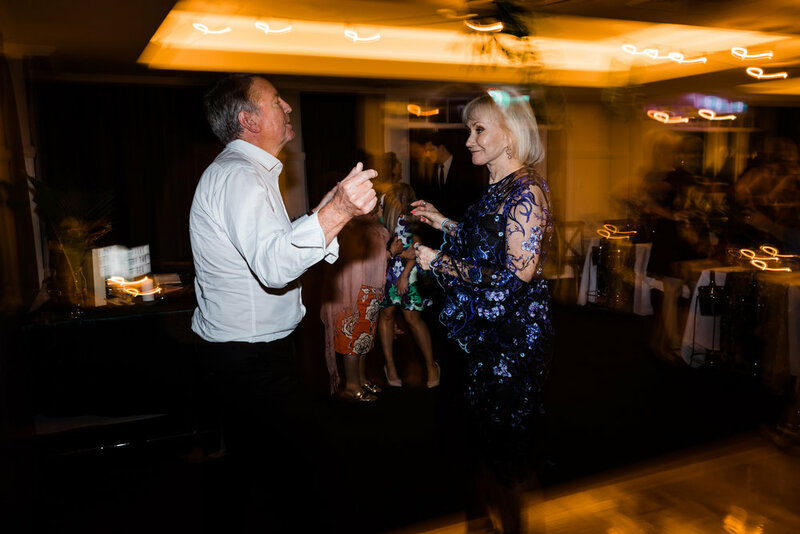 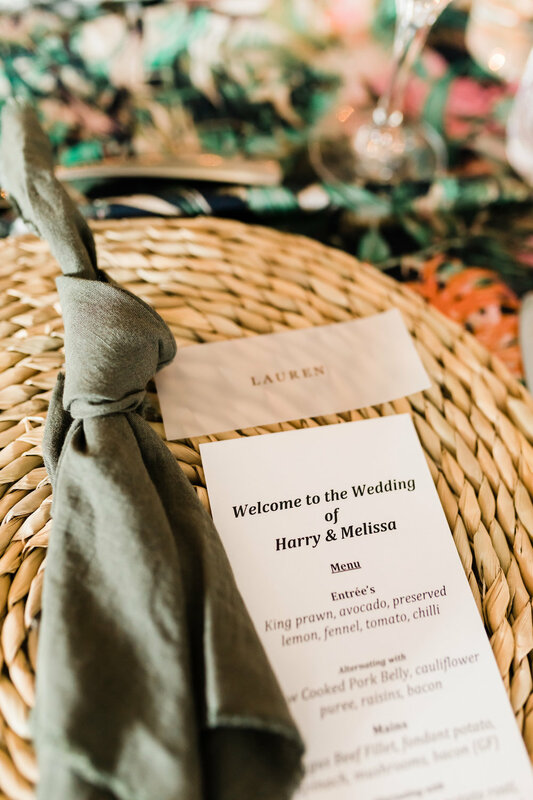 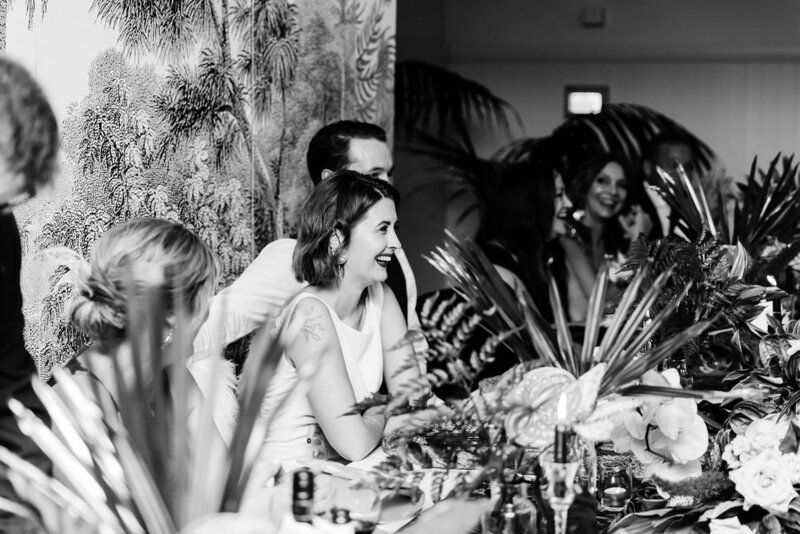 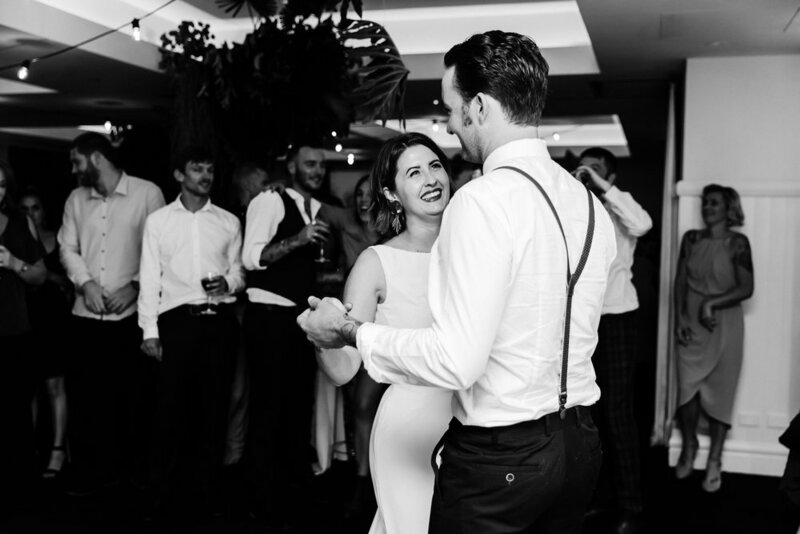 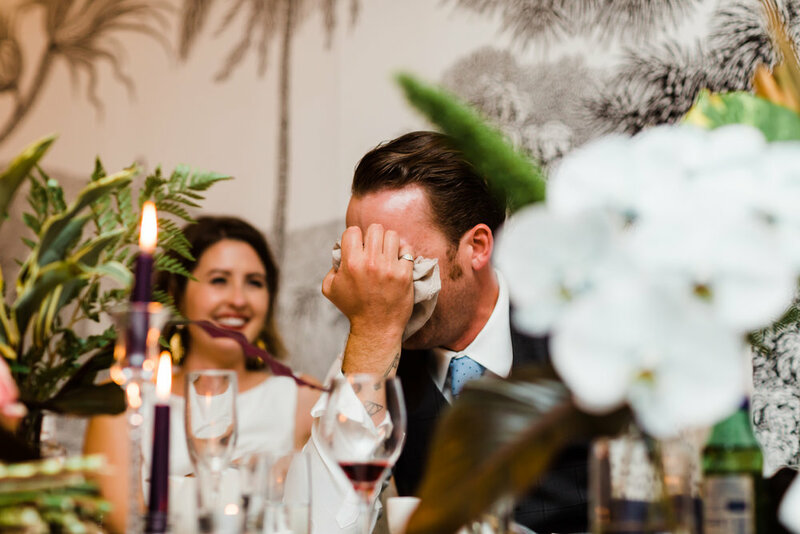 It was important to Melissa and Harry that their day be relaxed and their guests could unwind, drink wine and let the good times roll.